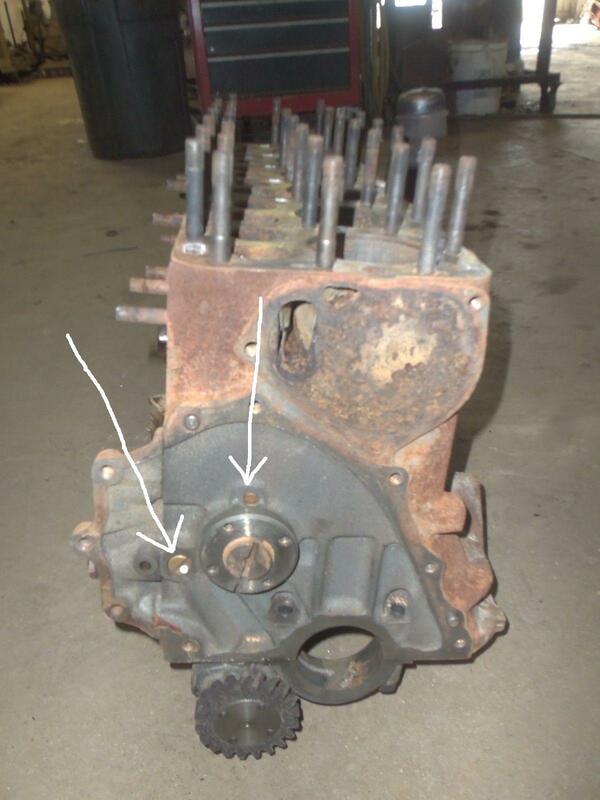 This 1979 Jeep CJ 258 6 Cylinder Block has an NPT Type of oil gallery plug installed on it, behind the timing cover. 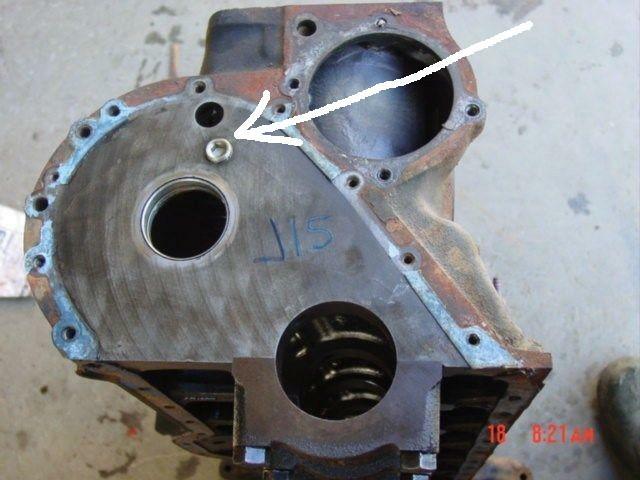 The rear/Back of this 1941 through 1947 ford flathead inline 6 cylinder engine block appears to have two NPT Type oil gallery plugs installed on it. 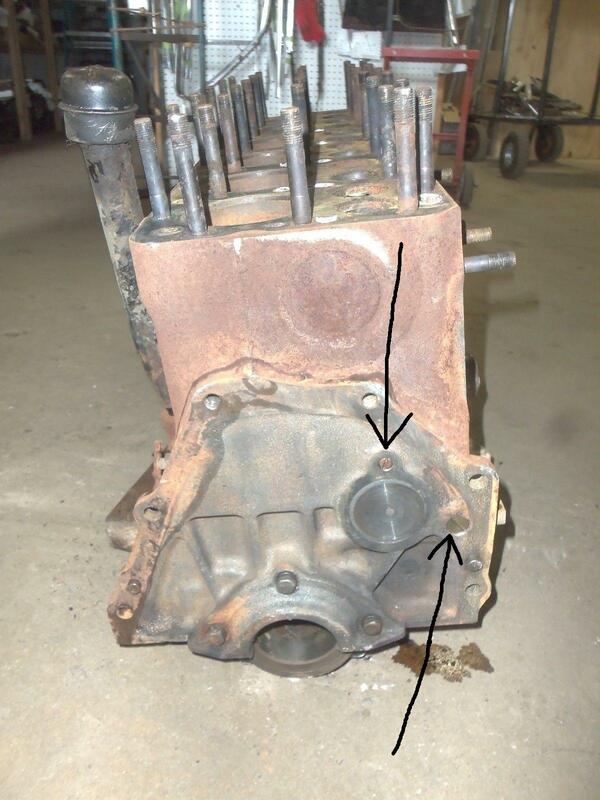 The front of this 1941 through 1947 ford flathead inline 6 cylinder engine block appears to have two NPT Type of oil gallery plugs installed on it. 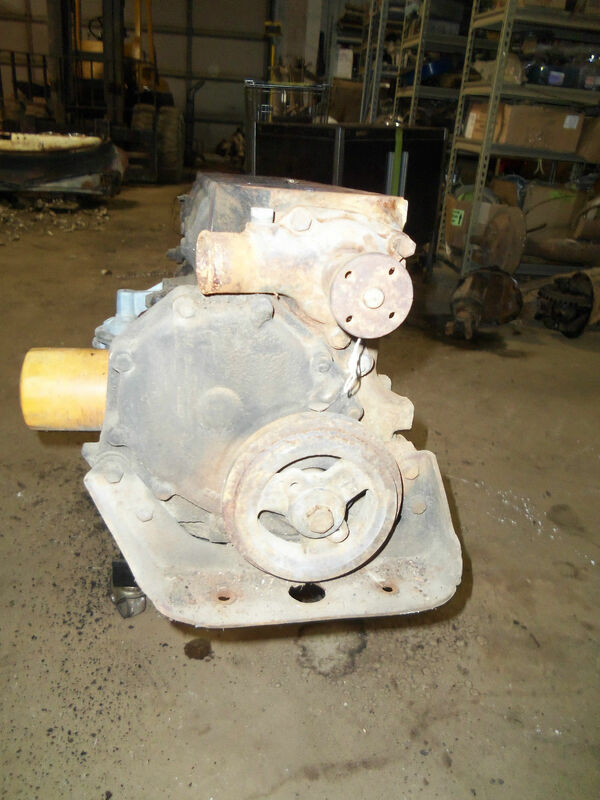 This is a picture of the front of the same 1954 through 1964 ford inline six cylinder engine block that i had posted five pictures above. I am posting this picture to show that the other picture of this engine (in the first/top picture above) is the rear/back of this same engine (not the front). Hopefully your rear oil gallery NPT Type of plug is not missing. In the worst case possibility, if your rear/back oil galley plug is missing, you can still install a new plug with the engine still in the vehicle. But the transmission will have to be seperated from the engine to install the rear plug.